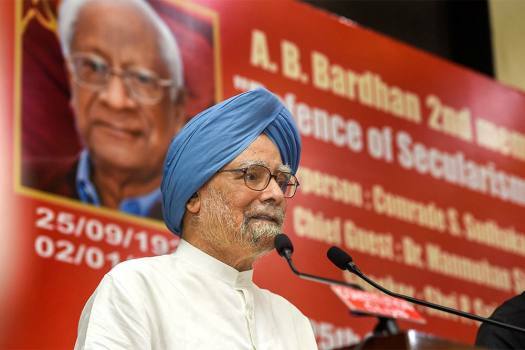 Former prime minister Manmohan Singh delivers the 'A. 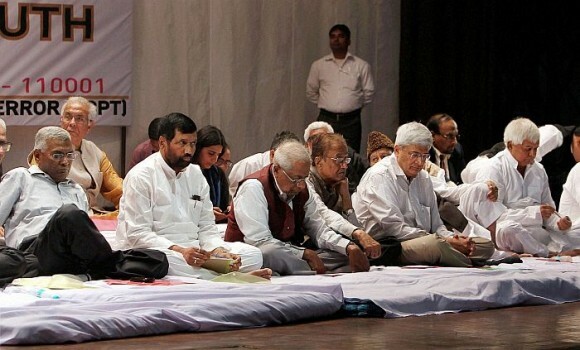 B. Bardhan Memorial Lecture' in New Delhi. 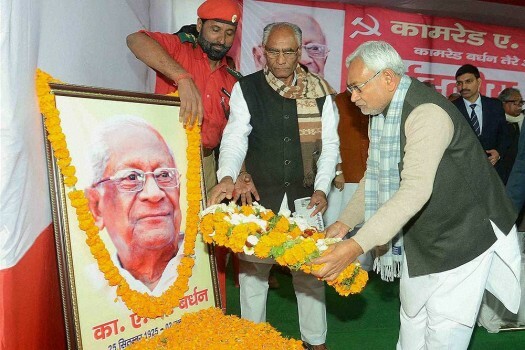 Bihar Chief Minister Nitish Kumar pays tribute to the late CPI leader A B Bardhan during a condolence meeting in Janshakti Bhawan in Patna. 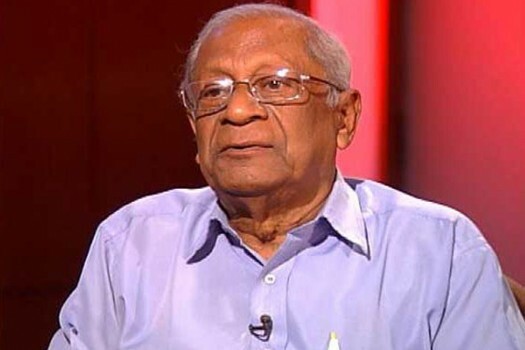 Veteran leader of the Communist Party of India (CPI), Ardhendu Bhushan Bardhan, dies. He was 91. 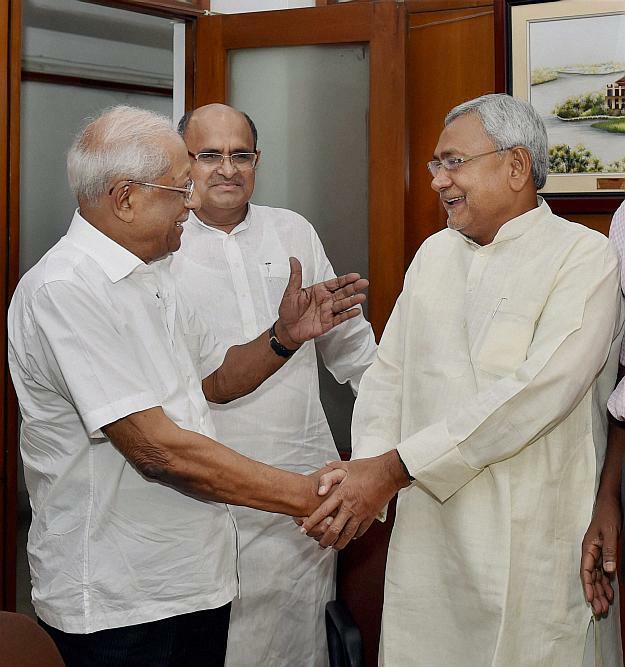 Former Bihar CM and senior JD(U) leader Nitish Kumar with CPI leader A B Bardhan during a meeting in New Delhi. 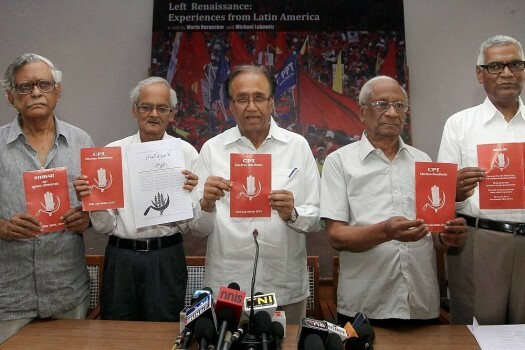 CPI General Secretary Sudhakar Reddy, veteran leader A B Bardhan, MP Gurudas Dasgupta, D Raja and others releasing the party's election manifesto in New Delhi. 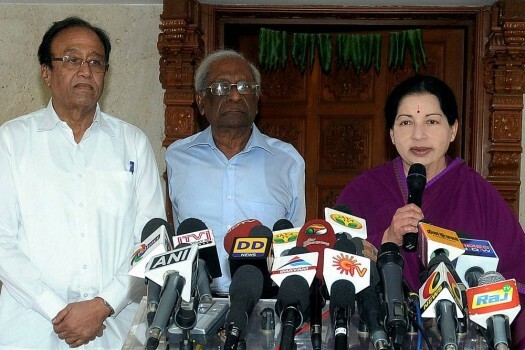 Tamil Nadu Chief Minister J. Jayalalithaa along with CPI leaders A.B. Bardhan and Sudhakar Reddy addressing media after their meeting at the CM's residence in Chennai. 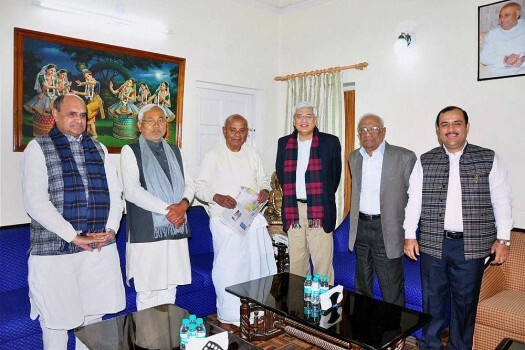 CPI(M) General Secretary Prakash Karat, party leader Sitaram Yechury, CPI's A B Bardhan and Forward Bloc leader Debabrata Biswas at Left Parties' Political Convention in New Delhi. 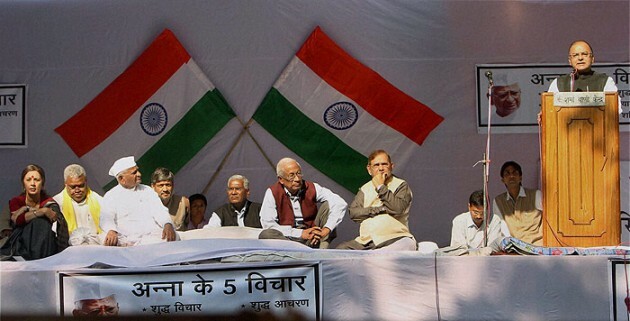 Opposition party leaders, from second left, D. Raja, Sitaram Yechury, Prakash Karat, and A.B. 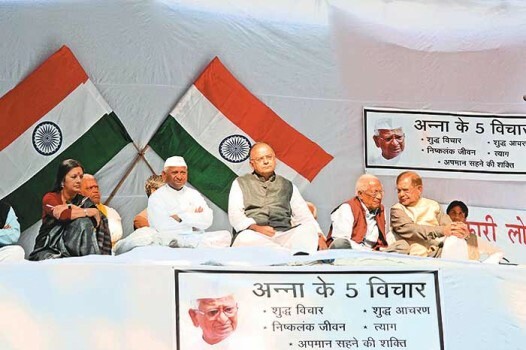 Bardhan, lead a rally to protest a steep hike in gas prices in New Delhi. 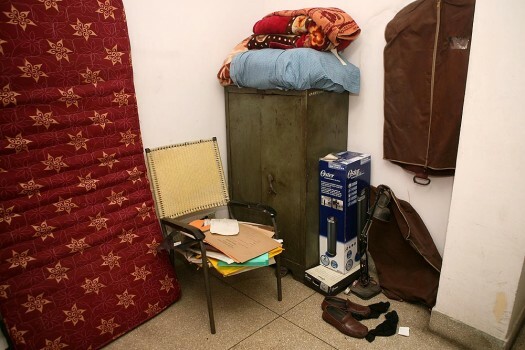 CPI General Secretary A.B. 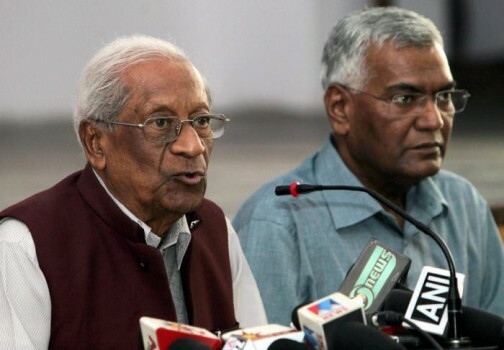 Bardhan with National Secretary of CPI , D. Raja at a Press Conference in New Delhi. 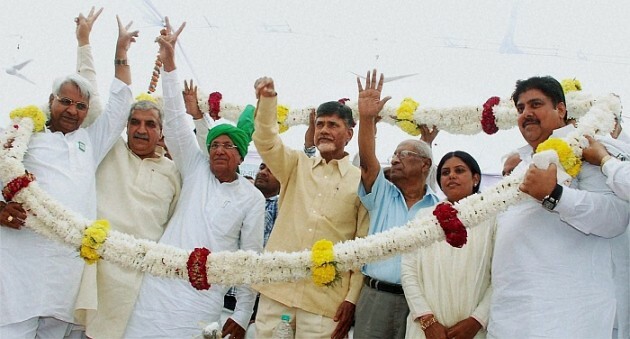 TDP chief N Chandrababu Naidu, CPI General Secretary AB Bardhan, INLD chief Om Prakash Chautala during an election rally in support of Ajay Chautala (R) in Hisar. 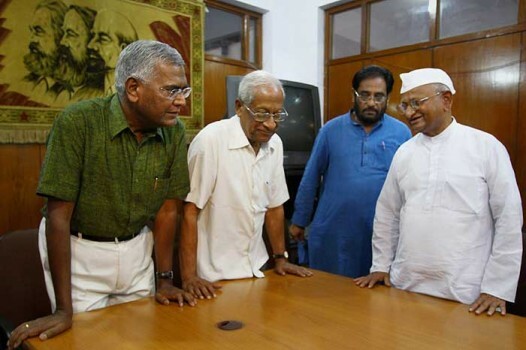 Social activist Anna Hazare meeting CPI leaders AB Bardhan and D Raja in New Delhi. 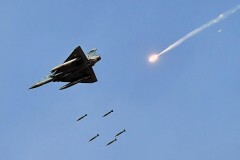 Will there be an early end to the stand-off between PM Manmohan Singh and the Left? No, says the CPI's general secretary. "We Will Be Forced To Agitate"
With the death of A.B. 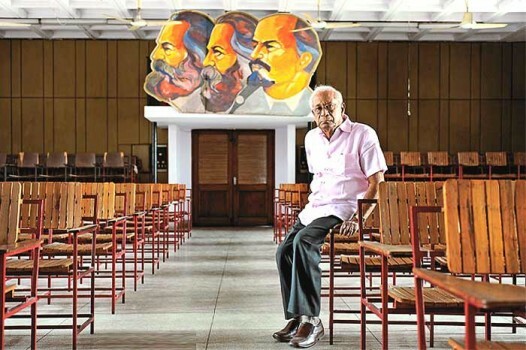 Bardhan, very few of the communist stalwarts who not only built the Left, but also made the Communist Parties a formidable force, are still active. 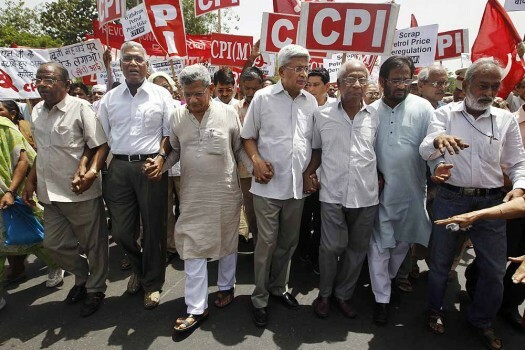 'We would continue our efforts towards building a third alternative, but we do not want a communal government to replace the UPA at the centre,' says the General Secretary of the CPI. And win again for five more years. 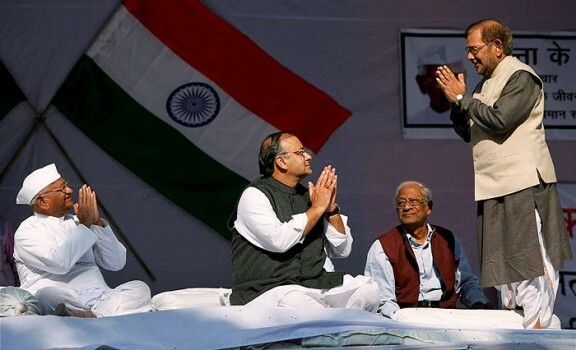 But, cautions the CPI general secretary, his party's stand on FDI in telecom and insurance would continue. 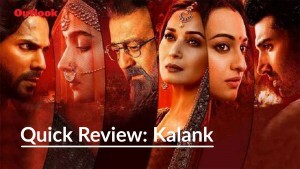 The SENSEX? Its going up or down would not determine government policies.